Plain and simple, we provide Colorado with quality roofing. We are Go2 Contracting, home of the Tuff Roof System, and whether you are interested in a straightforward roof repair or a full-on roof replacement (among our other services) we can get the job done affordably, reliably, and punctually. We are a Colorado Springs roofing company that cares about the quality of our work, our local reputation, and, more than that, our community itself. We help folks in El Paso County, Douglas County, Arapahoe County, and beyond with high-quality roofs, siding, gutters, and more. Today’s post isn’t about roofs, gutters, or siding though — it’s about the “more.” The more we will be discussing today is our storm damage service. If any of our readers have lived in Colorado Springs, or indeed, anywhere along the Front Range of Colorado, you probably already know how nasty things can get — in a hurry, too. During late spring and summer, you might be having a grand old time, barbecuing with your friends and family, enjoying a couple of cold ones along with the sunshine. Twenty minutes later, you are dashing for cover while you run inside to find your car keys to move your A-to-B under some nearby shelter. Something like that happened to many people this past Independence Day in our beautiful, sunny state. But while people and cars can find some shelter, more often than not, your roof is the shelter, so it’s got nowhere to hide. Neither can your exterior siding. That’s why we provide fast, professional hail damage repair services to commercial and residential customers alike. When your roof gets soaked with rain, the hail and wind can strip away shingles or at least knock them loose to some degree. In concert, these elements can cause serious, costly damage to your home and its overall value, not to mention its ability to, you know, shelter you. Hail itself, however, is more of an issue than wind or heavy rain. Most people know that hail can be a problem, but when the individual hail exceeds the size of a BB and becomes closer to that of a golf ball (or worse), it’s not a good situation. Even if you aren’t exposed to the weather yourself, the hail can cause thousands of dollars worth of damage. Needing an unexpected roof repair, or, more unsettling yet, a full-on roof replacement, can be difficult to budget for. Luckily, Go2 Contracting does more than provide expedient, affordable hail damage repair service — we’ve got your back in a range of ways. Probably the last thing you want to figure out how to do is file an insurance claim for this issue — you’ve got enough on your plate already. The paperwork is confusing and full of unfamiliar terms like “depreciation.” Heck, maybe you do understand it, and more power to you. Either way, we can help. Our Storm Damage Services Booklet helps take the confusion and guesswork out of the situation. We aren’t your insurance agent, we are a third party. That means we don’t really have a horse in this race. Even still, you can use our resource as a supplement if you so wish. It’ll help you navigate the claim filing process, understand your paperwork, and how to choose a roofing contractor — us or otherwise. 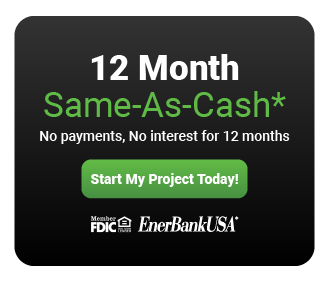 Give us a call or fill out a contact form and we will get you this information right away! 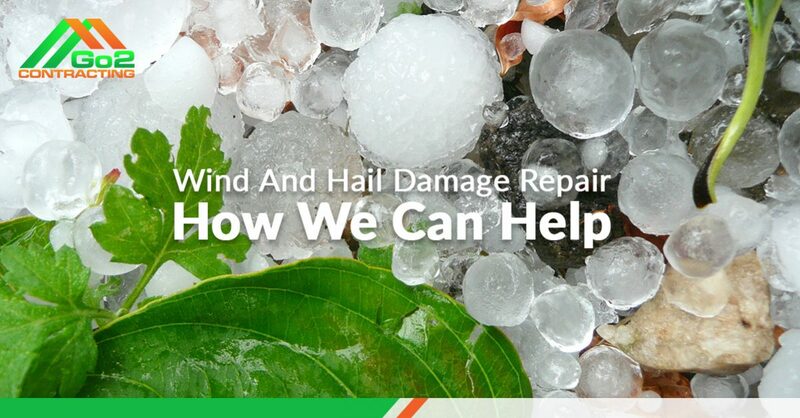 The final point we’d like to make about our storm and hail damage repairs is that we understand that when you are in need of a service such as this, you need it fast. We offer a 48-Hour Service Guarantee which pledges that once our customers place a call and notify us of their roofing issue, we will be on site to find and diagnose the problem and correct the issue, whether that be temporarily, or if we are able, permanently. We’ll solve your issue so you can carry on with your life in less than 48-hours — and we stand by our word! We believe in great customer service just like we believe in using high-quality materials and hiring high-quality individuals here at Go2 Contracting. If you need hail damage repair service, give us a call, and put our word to the test! We’d love to hear from you.